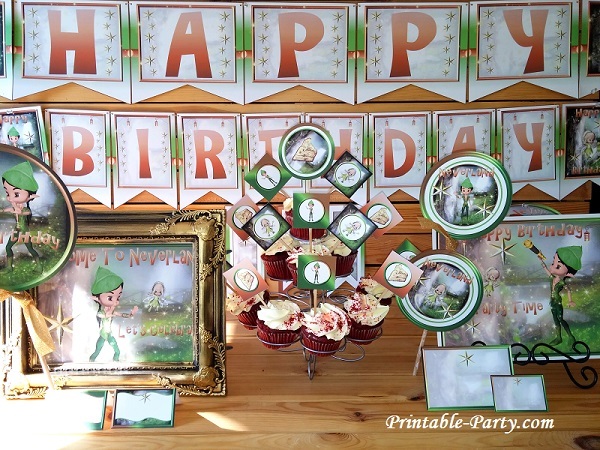 Inspired by Peter Pan party supplies. 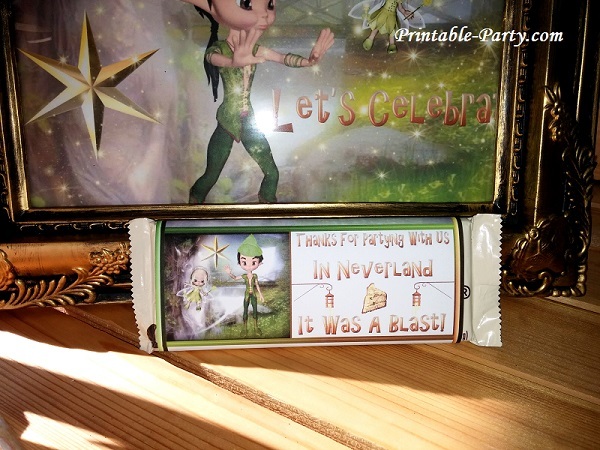 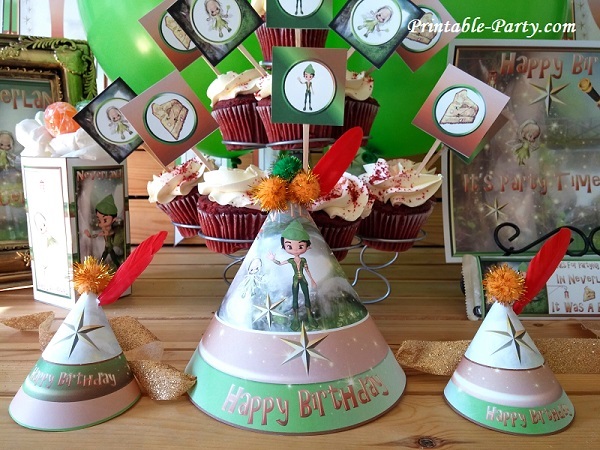 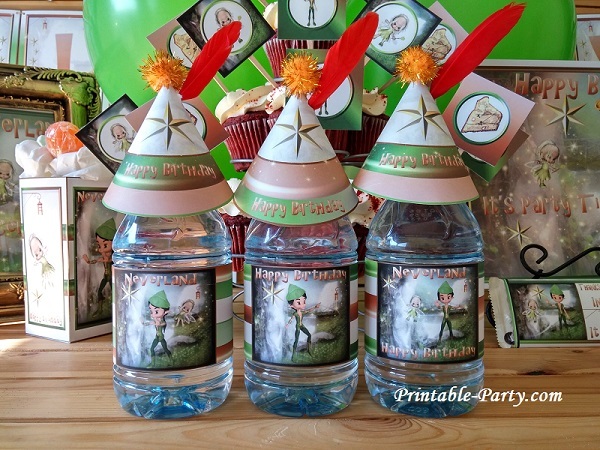 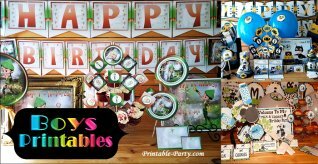 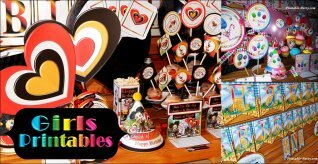 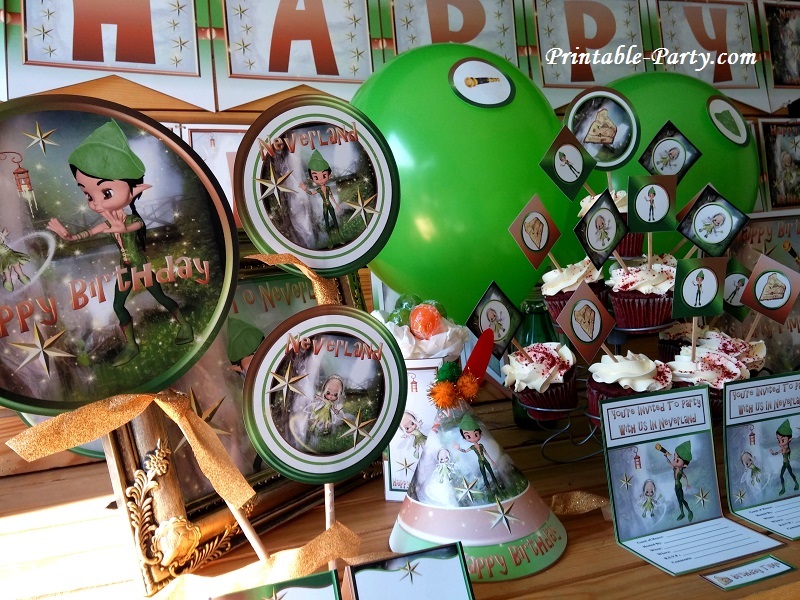 Neverland themed printable party decorations are awesome to use if you'd like to have A creative looking birthday party. 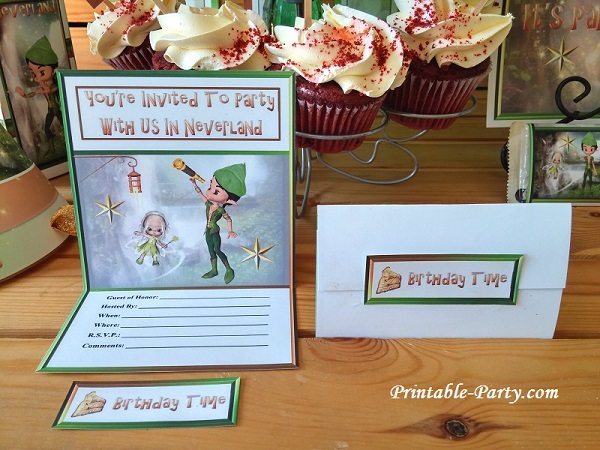 This hand designed party theme is blasted with sparkling pixie dust. 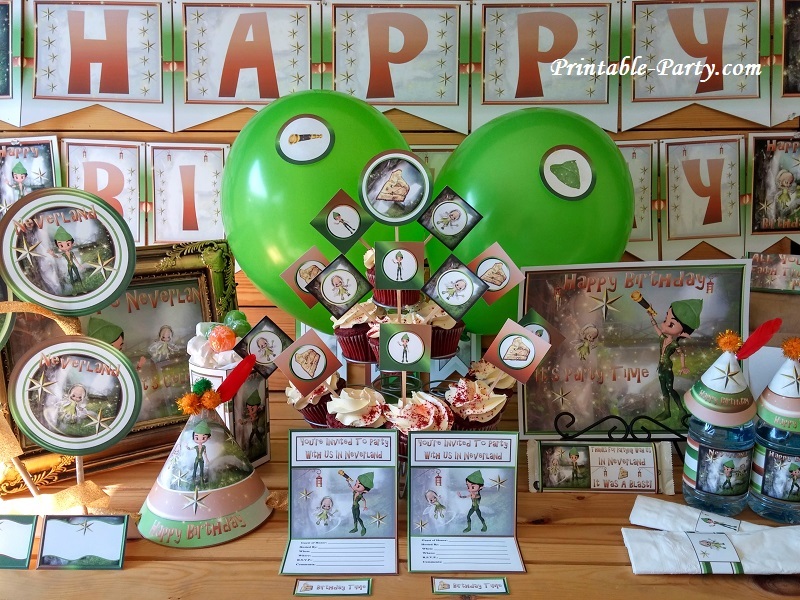 Blended with green, orange, brown, white, & golden colors. 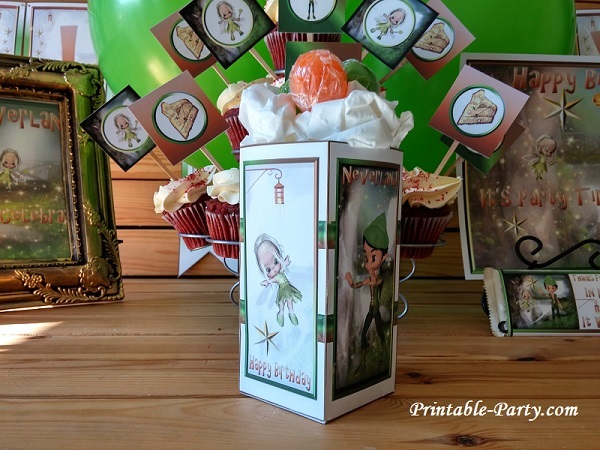 Fun & cool characters of the pixie fairy, peter pan, stars, Neverland, & old lantern. 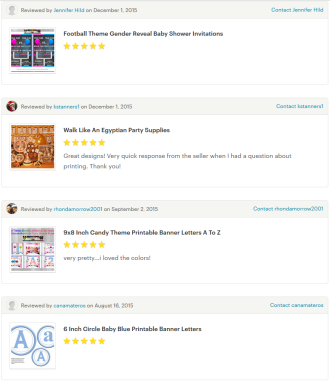 After you download your printable product, You can open your purchased PDF file with the newest version of Free Adobe PDF Reader for viewing, printing, or adding digital text onto invites using the sign tool. 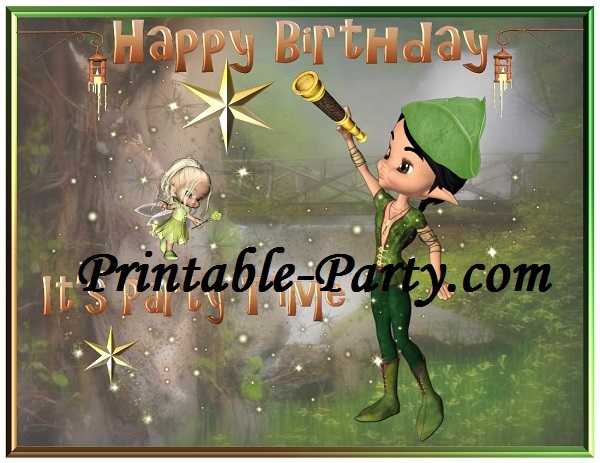 All of our printable designs are made to fit & be printed onto 8.5x11 inch paper. 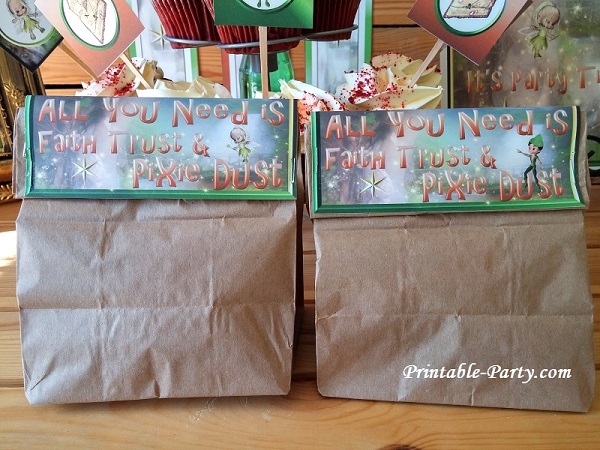 We suggest that you print your supplies onto thick card stock paper. 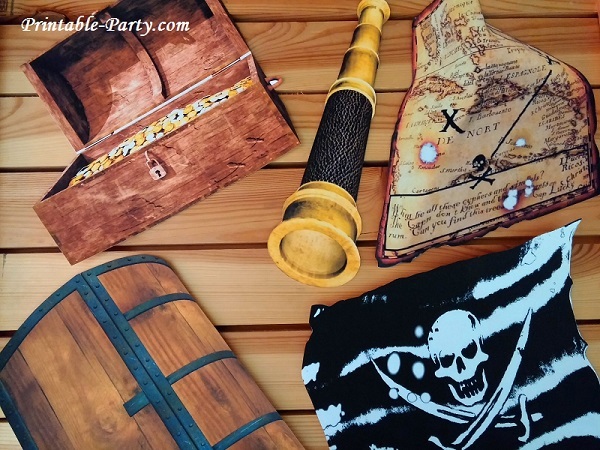 We use 110lb paper for a sturdier hold. 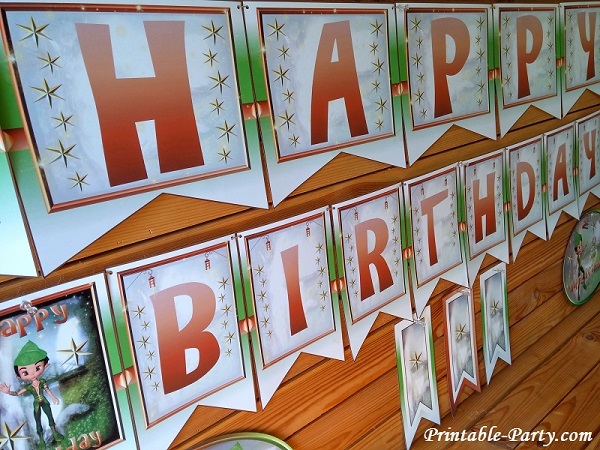 PDF files can be printed using your home or office printer. 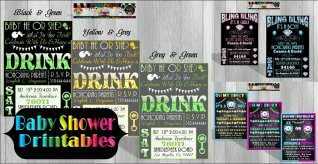 If your don't have a printer, You can save your files onto a flash drive or disk & take it to your nearest copy shop, office depot, staples, etc... to be printed for you. 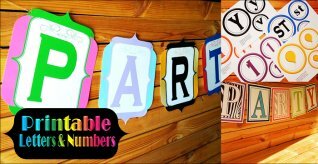 Let them know the paper type you'd like, pages numbers you'd like, & how many of each page you'd like to have printed for you. 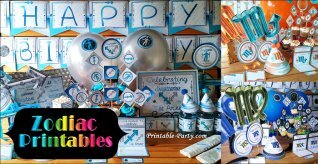 View our FAQ list or Contact Us for any questions you may have.